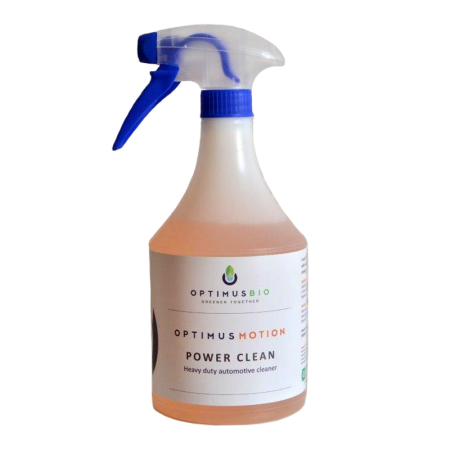 A biodegradable biological silicone free product that protects and shines in one easy step. Suitable for cleaning, protecting and shining rubber, vinyl, plastics and similar materials such as tyres, rubber mats and plastic trims to restore OEM appearance. 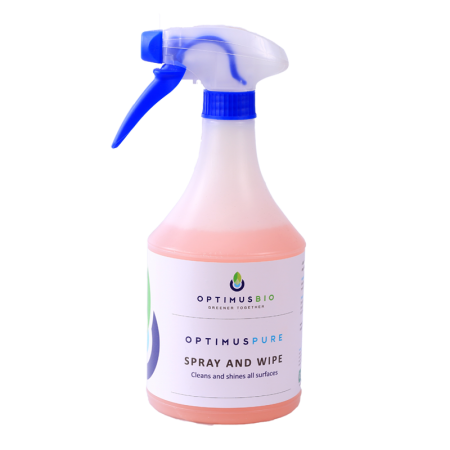 Spray onto surface and work into surface with brush or sponge such that there is proper coverage with the product. Buff of excess product using a clean brush or microfiber cloth. Do not use excessive product or it will result in an artificial gloss. 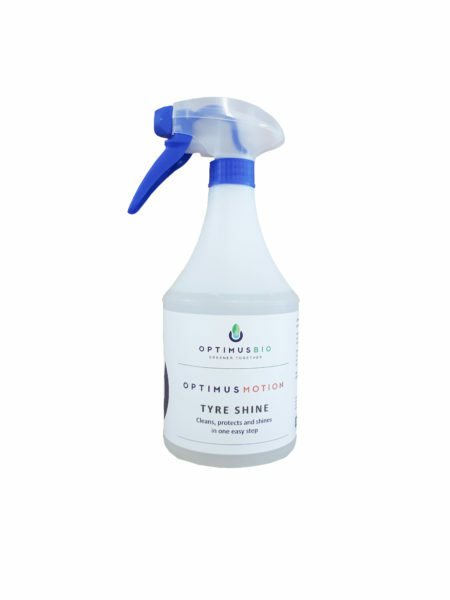 Used correctly, the product minimises dust attraction and tyre whip onto paintwork, which is a common problem with silicone based products. Test compatibility before use. Store in a safe place away from direct sunlight. In case of contact with eyes, wash with water. In case of ingestion, seek medical advice. A Material Safety and Data Sheet is available on request. A Certificate of Analysis is available on request. 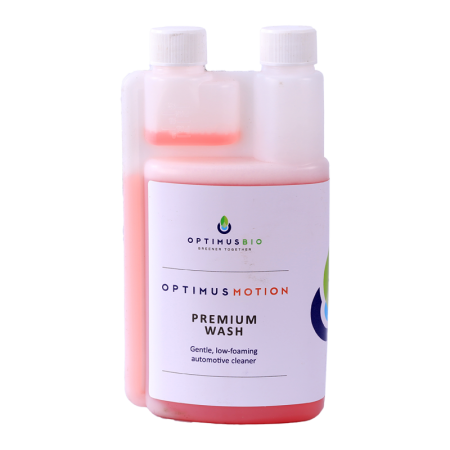 OptimusBio develops environmentally friendly products for the treatment of waste water, aquaculture and agriculture. © Copyright - OptimusBio. All rights reserved.